If you haven’t yet tried our Sourdough Baguette’s on your menu, you’re missing out! 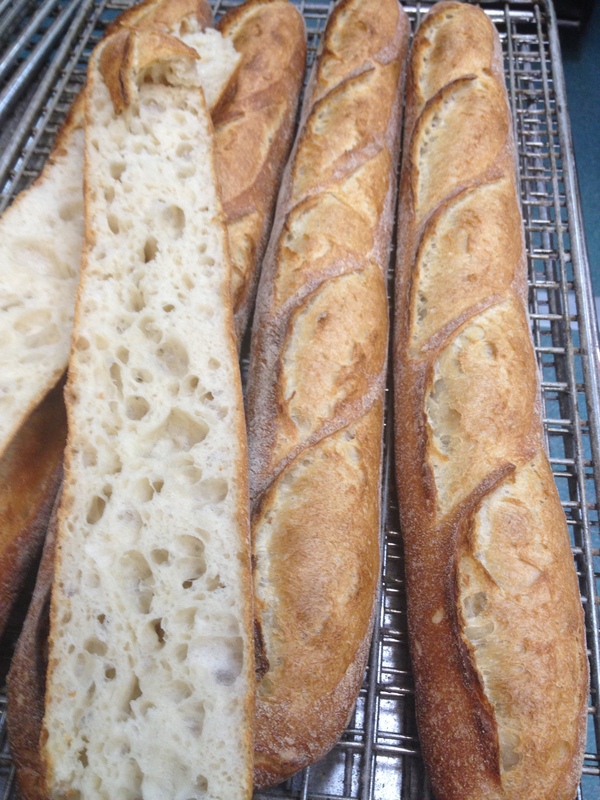 Our traditional sourdough baguettes are made using a combination of organic, and local roller milled flours they are long fermented and have great flavor, and terrific crust. They will work well as a pre dinner bread, warmed and served with a cultured butter, or filled as part of your café lunch menu. Available everyday as part of our wholesale bread range.